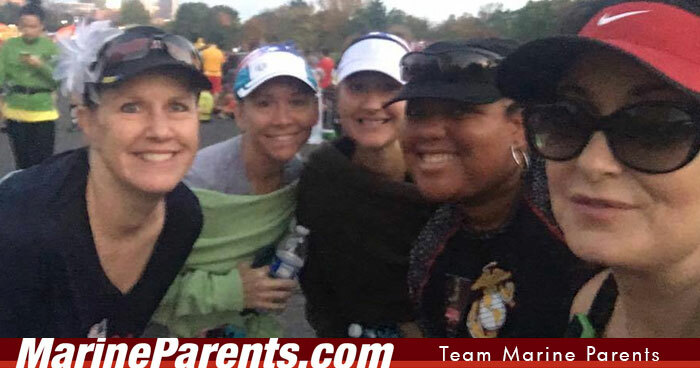 In addition to fundraising and spreading awareness of Marine Parents, our runners ran in honor of Corporal Eric M. Torbert Jr., a Marine who lost his life in Afghanistan in 2010 while serving with the 1st Combat Engineer Battalion. 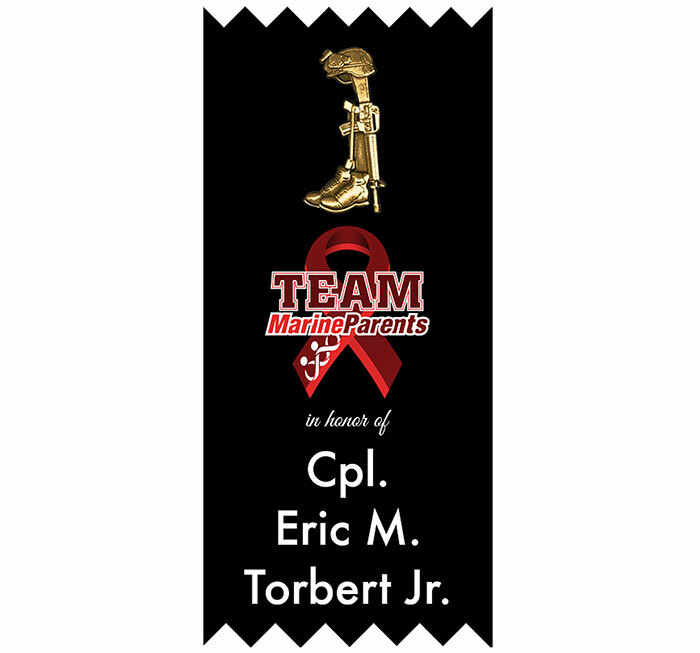 Each runner wore a ribbon with Eric's name on it and attached it to their bibs with a battle cross lapel pin. 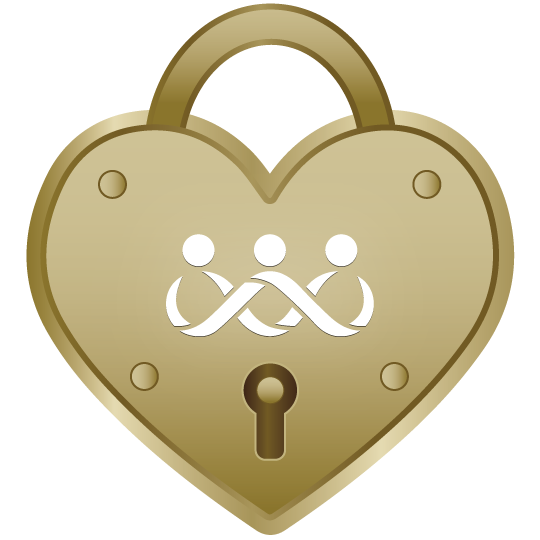 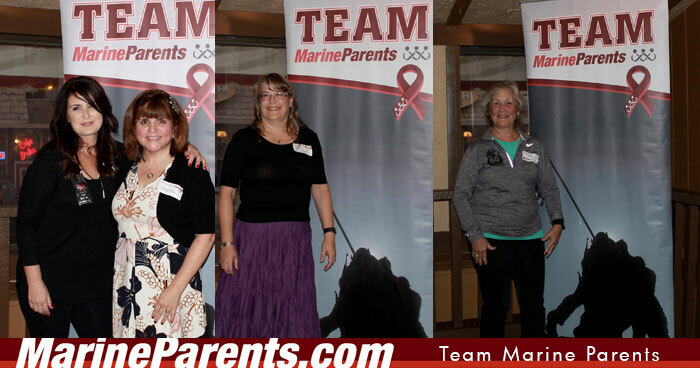 We would also like to mention our gratitude for our amazing volunteers that were part of the TMP Fan Squad. 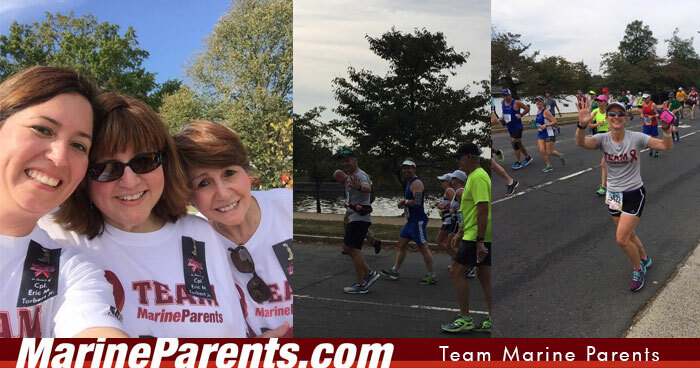 We had many Fan Squad members holding TMP banners along the course to cheer our runners on and catch photos of the action. 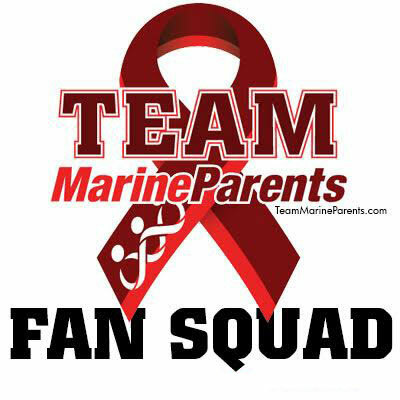 In addition to our boots on the ground Fan Squad, we also had a virtual Fan Squad. 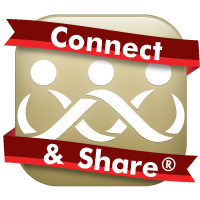 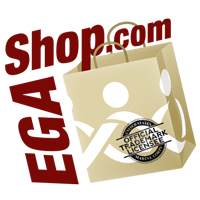 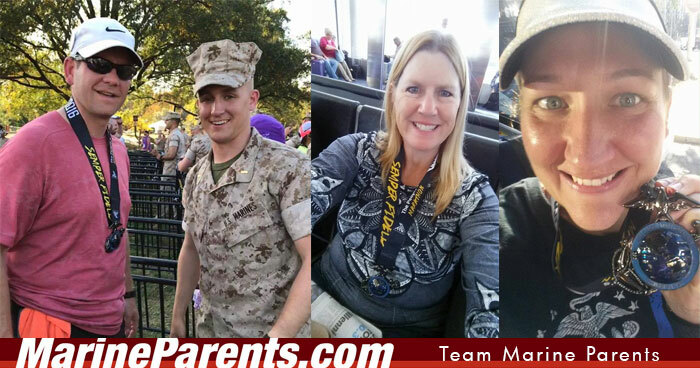 Hundreds of members of the Official MarineParents.com Facebook groups changed their social media profile photos in support of our TMP runners, and many followed along on the TMP Facebook page as we posted updates about our runners' progress on the course. 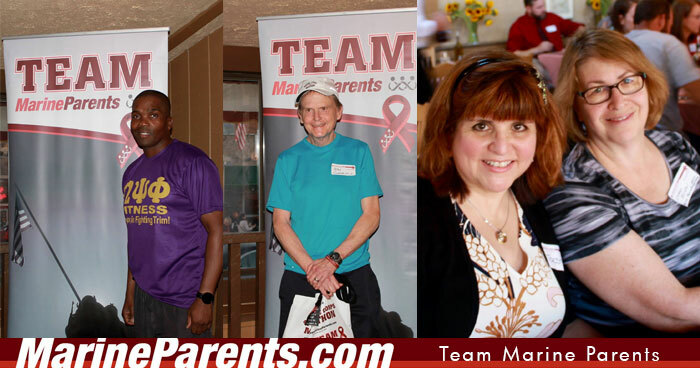 We all watched the interactive map online as each of our runners crossed the finish line. 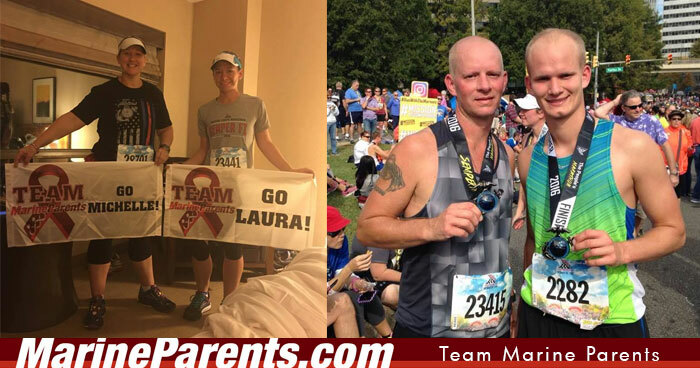 Our runners agree that training and competing is much easier when someone is cheering them on, and we are so thankful for all of you that helped us do just that. 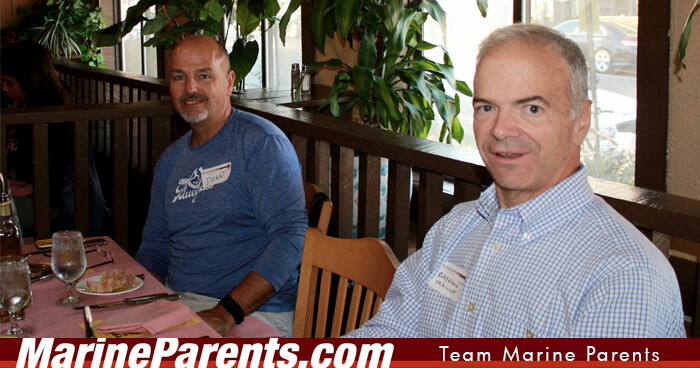 Our second to oldest member, Michael Cummins, 65, and our youngest member, Michael R. Collins, 21, were the first two TMP runners to complete the marathon. 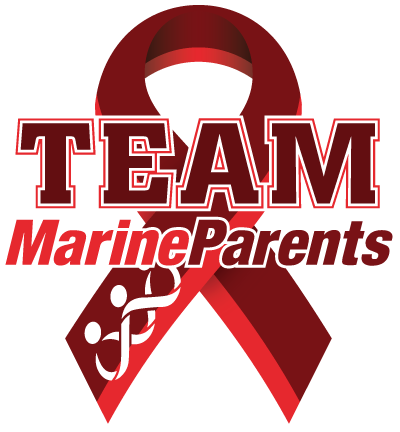 If you would like to see more details about each of our runners crossing the finish line, please check out our Team Marine Parents Facebook Page. 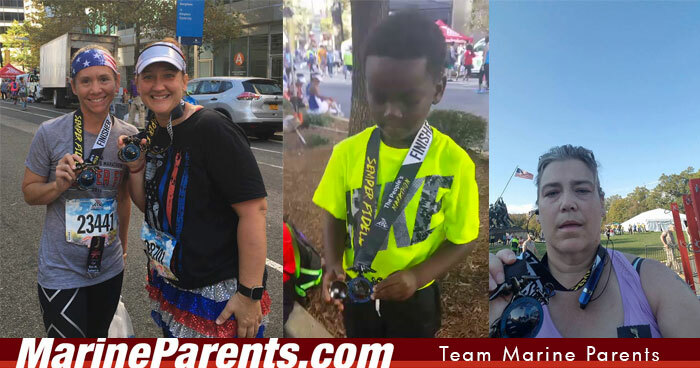 All of our runners did an excellent job, and we are so proud of their accomplishments! 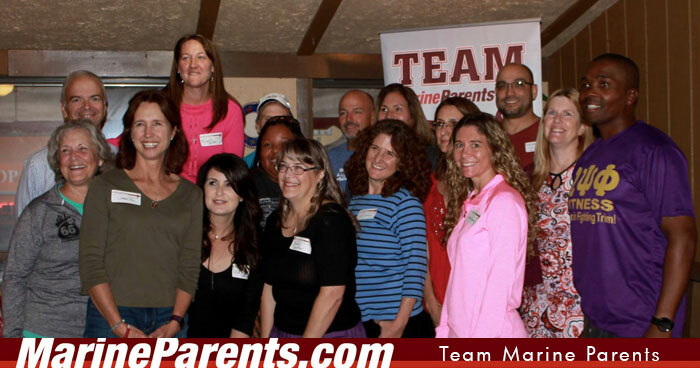 Our TMP runners are from all over the United States, and most of them had never met before. 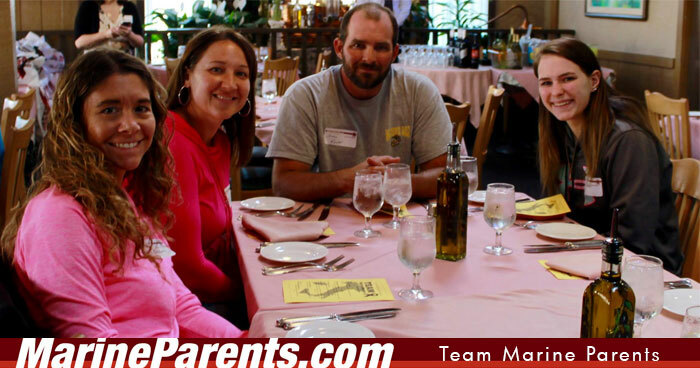 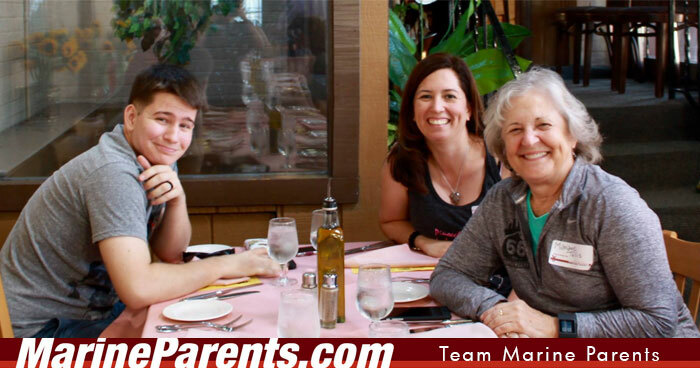 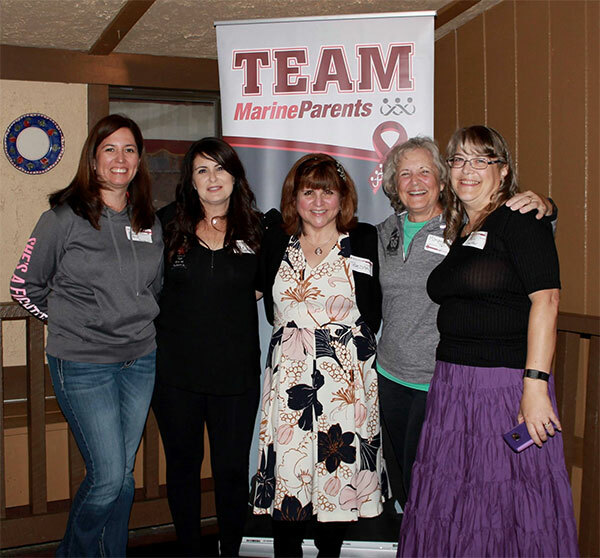 The night before the marathon, Marine Parents hosted a dinner for them and their family members at the Portofino Restaurant. 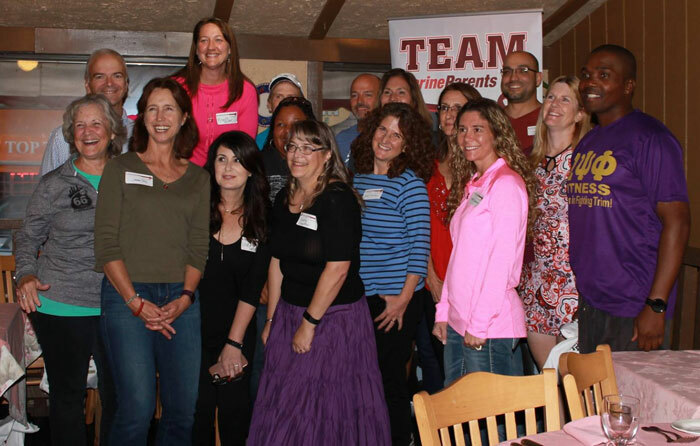 It was a wonderful opportunity for 17 of our runners and 29 of their family members and fan squad members to get to know each other before the big day! 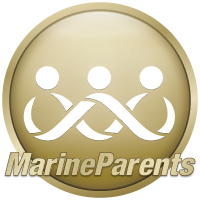 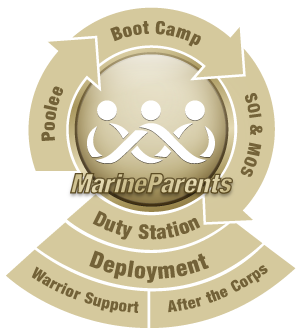 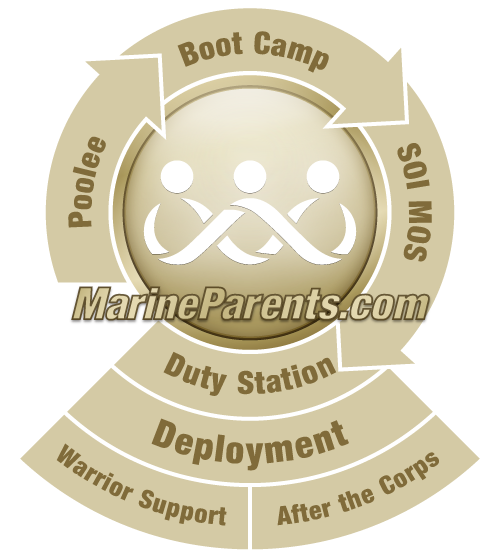 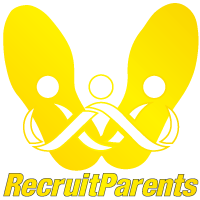 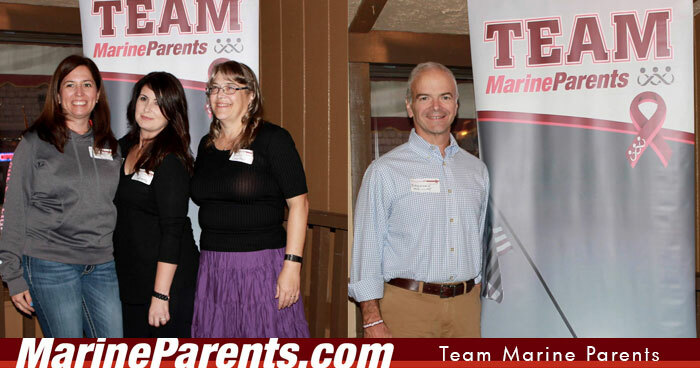 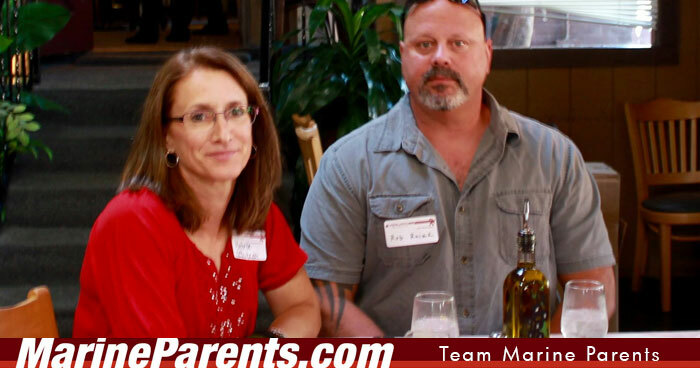 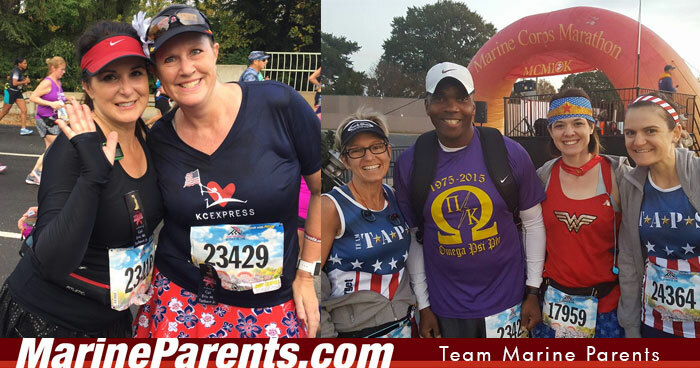 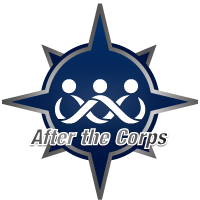 We are so happy with the great success of the 2016 Team Marine Parents team and we want to carry this momentum over to 2017 as we apply to be a charity partner with the Marine Corps Marathon for the sixth year in a row. 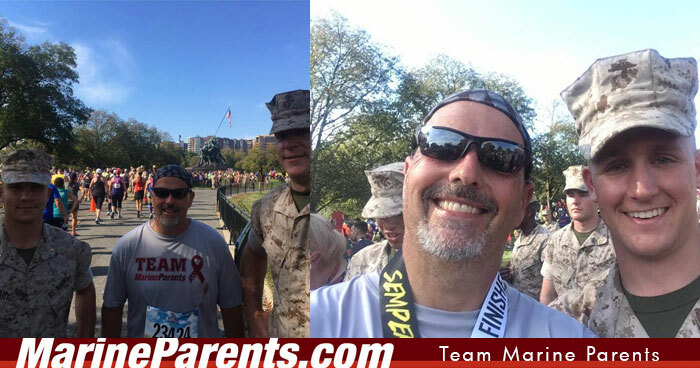 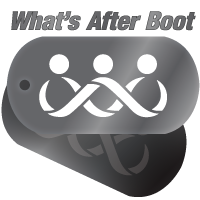 If accepted as a charity partner once again, we will have 50 bibs available for the 42nd Marine Corps Marathon. 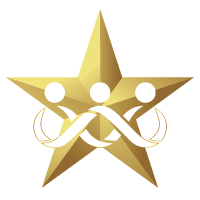 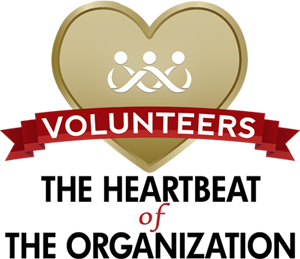 Much of this success is thanks to our amazing volunteer, Lisa Gutierrez. 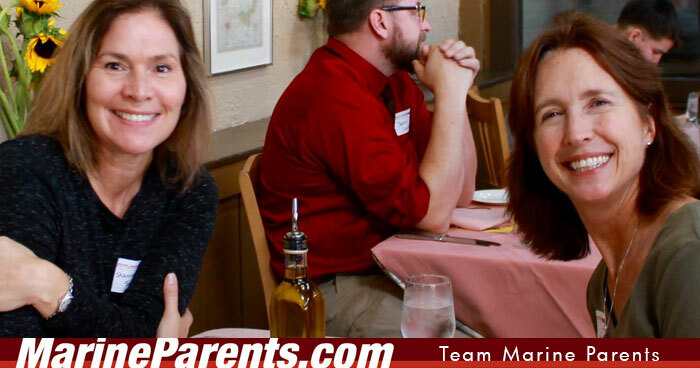 She came onboard as the TMP co-team leader in early 2016 and has been a hostess, mentor, coach, and fan to all of our runners. 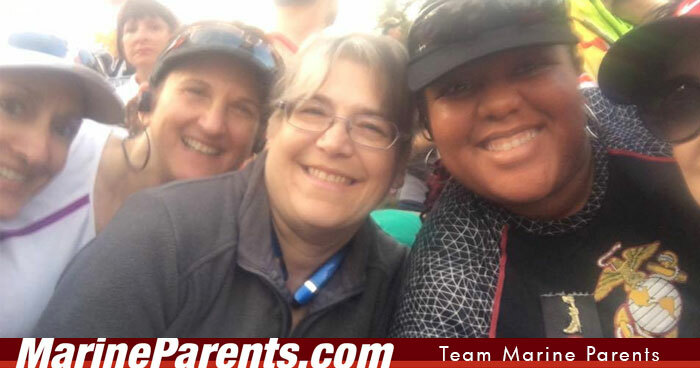 She gave great training advice and tips to our runners in our TMP Facebook Group, and she promoted TMP at the many races and events she participated in this year. 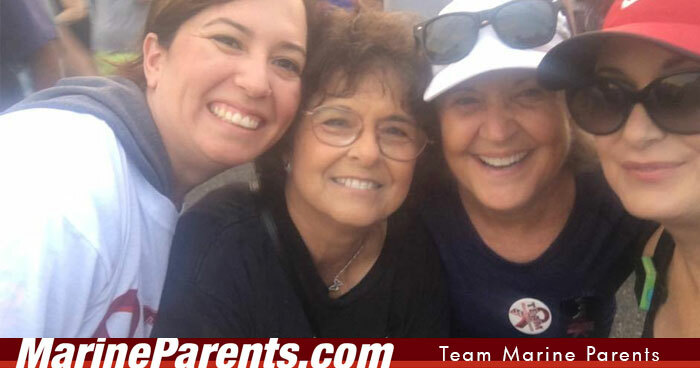 We could not have done it without her! 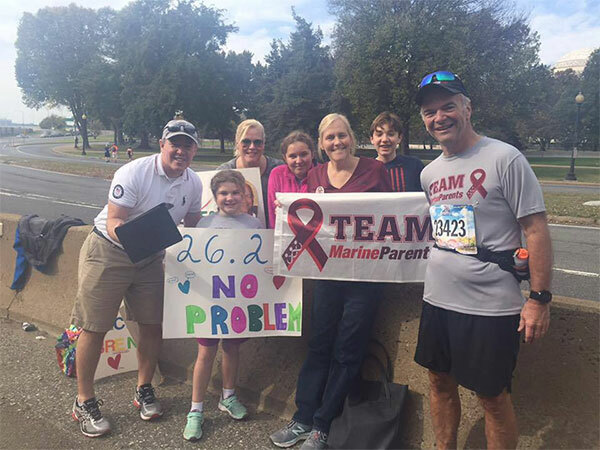 We have heard nothing but enthusiasm and excitement from our runners and many plan to join us again next year. 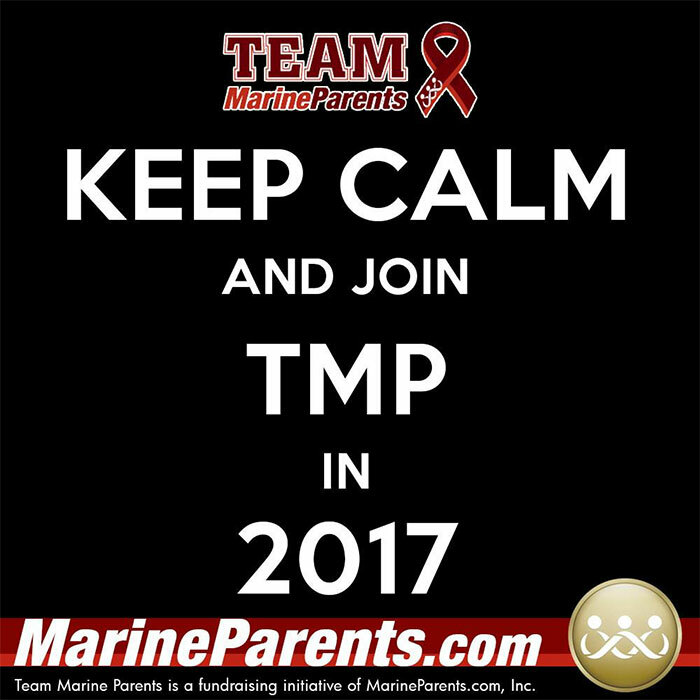 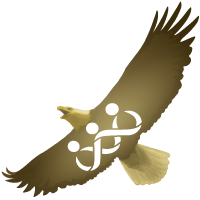 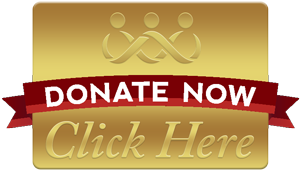 If you are interested in joining us in 2017, please subscribe to our TMP Newsletter and join our TMP Facebook Group for important information. 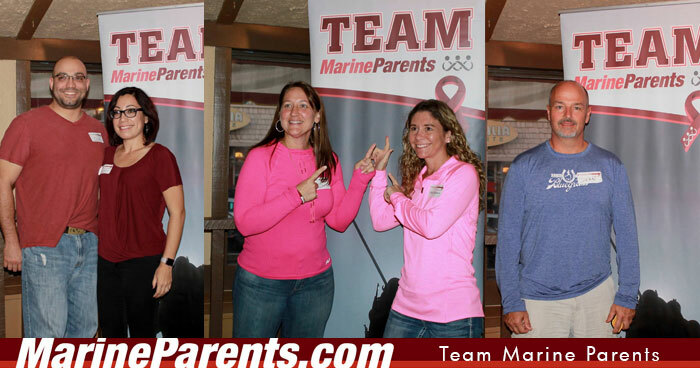 Thank you to our runners and to our fan squad for making Team Marine Parents such a success!